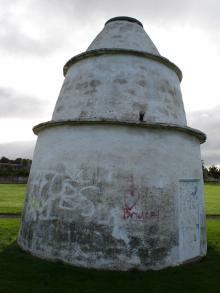 The New Elgin Doocot is a Category B Listed building dating from the 17th century. 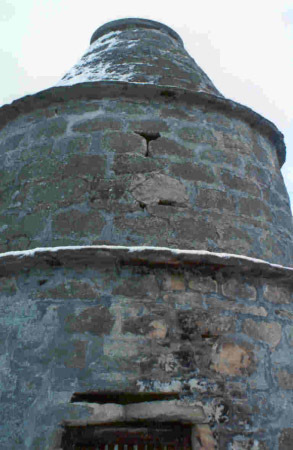 It is a small beehive dovecot built with coursed rubble with thin stone slab rat ledges and circular stone cope. Pictured: New Elgin Doocot: front of doocot after harl removed. 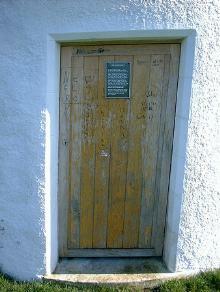 LTM were contracted by Moray Council to undertake the conservation and repair of the historic fabric. 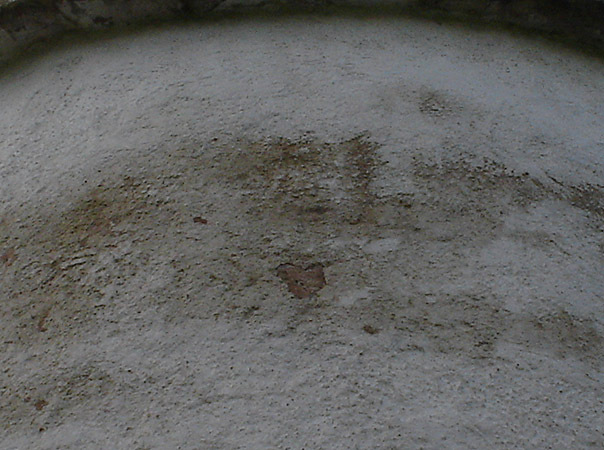 Works included: structural repairs; stone indenting and mortar repairs, repointing works; traditional lime harling. 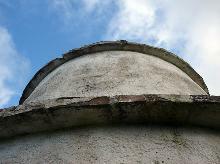 Pictured: New Elgin Doocot: detail. The building had suffered from extensive vandalism and fire damage, causing structural movement and material degradation. LTM masons surveyed the masonry blocks and prepared a suitable work programme, concentrating on the sympathetic repair and replacement of the stonework. In particular, the right-hand side door abutment required comprehensive replacement to match the existing profile. In contrast, the left-hand side required only cosmetic mortar repairs to the chamfer, building out the profile using stainless steel armatures and traditional lime mortars. 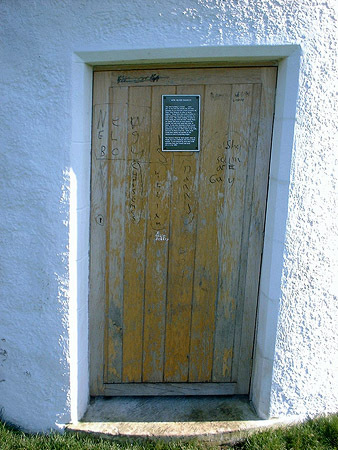 Pictured: New Elgin Doocot: door detail. 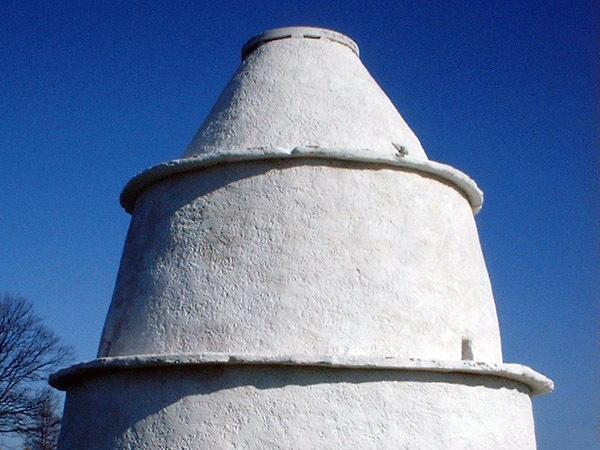 The doocot had been previously repaired using a hard cementitious mortar. LTM masons were keen to restore the building using appropriate materials; this involved the careful removal of the cement-based mortar pointing and repointing using traditional lime mortars. 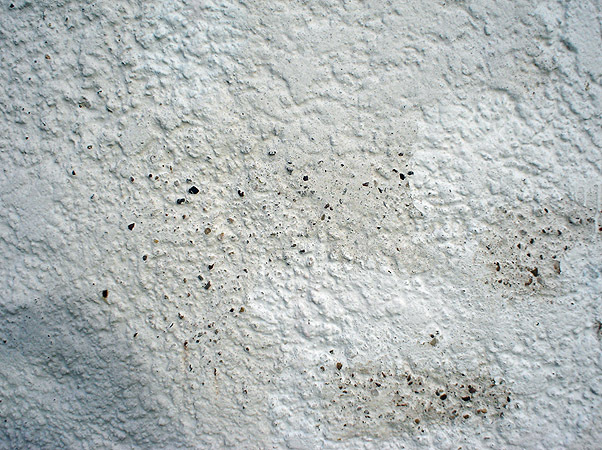 The building was then harled and finished with five coats of limewash. 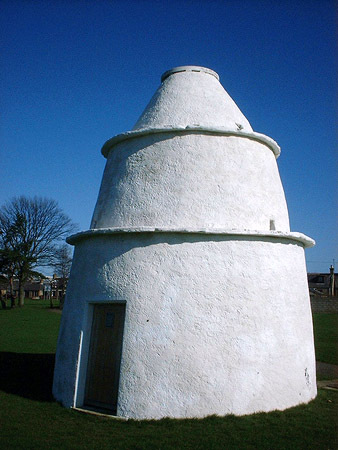 LTM were also contracted to restore the internal stone nest boxes, which had been vandalised over the years. There were nearly 500 of these nest boxes, all of which were carefully repaired by LTM masons. All new stone was scribed, cut and fixed with dowels to fit within existing fractured nest boxes, ensuring minimal intervention to the original fabric.